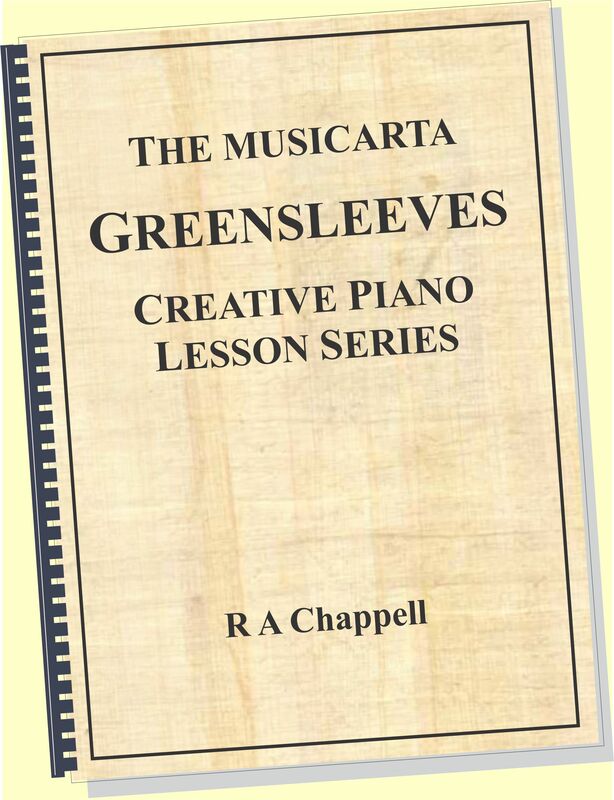 The Canon Diaries are ongoing explorations of Johann Pachelbel's famous chord sequence, as taught in the Musicarta Canon Project, available as a digital download from this site (see below) and as a hard copy print-on-demand title from Createspace and Amazon books. Canon Diaries are principally for keyboard players who have worked through the download study programme. These players will 'get the point' of Diary entries pretty much immediately. It is hoped that the Canon Diaries will inspire others to follow them, graduate from the Canon Project programme and be in a position to understand (and use) the additional harmonic assets the Diary entries contain. Here is the performance video of Canon Diaries (CD) 12-05-12, as originally flighted on Mister Musicarta YouTube. 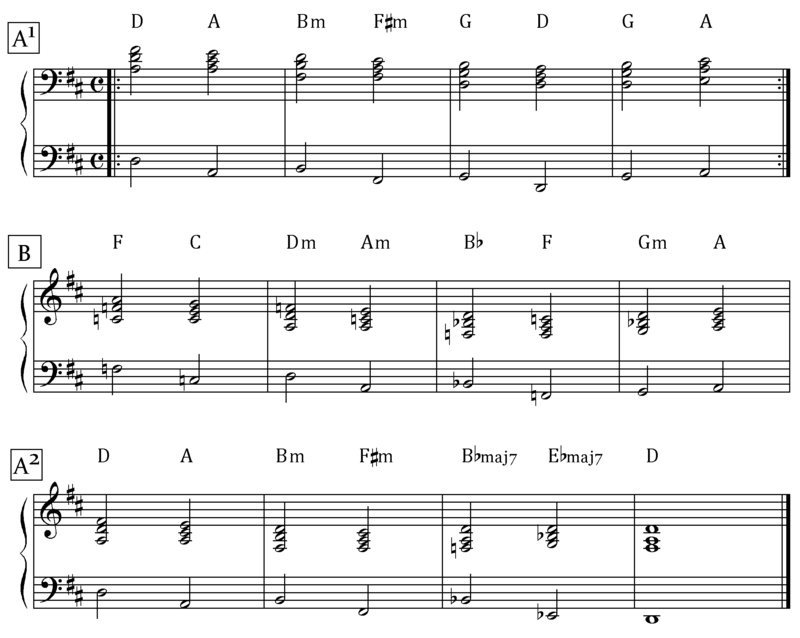 Because the second chord in each pair is pulled forward (anticipated), the third 'T' in the bar is the top note of the second chord in the pair. The first 'T' of each chord has the chord's 'M' with it. Here is a MidiPiano performance video of the Canon Diary 12-05-12 entry, with the actual performance on the lower keyboard and the harmony (the chords before breaking up) on the upper keyboard. At this speed, the lack of development of the Canon chord sequence becomes an obvious shortcoming. One of the solutions suggested in the Musicarta Canon Project is adding a contrasting section to create a 32-bar AABA version, as you hear in CD 12-05-12. Here is the full chord sequence. Various 'B sections’ have been offered in the Canon Project and Diary entries. 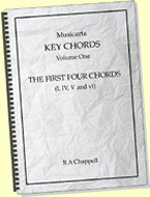 As the talk-through in the second part of the first video explains, the B section here simply drops from the A chord at the end of the second strain into the key of F to play the I-V-vi-III-IV-I-IV-V Canon chord sequence, and modulates back into D via chords Gm and A - ii and III of F and iv and V of D.
See more about modulation below. You will decide yourself to what extent you want to develop the bass line (left hand). From the second strain of CD 12-05-12 on, it bounces between octaves and gets more caught up in the syncopation. Here is a screen shot of the second strain, with the repeated audio right below. MIDI files (plus MidiPiano player) ship with the canon Project so you can repeat the demo at your own chosen speed and play along until you get it. Some preparatory exercises follow. Don’t be dragged into actually reading the leger lines! 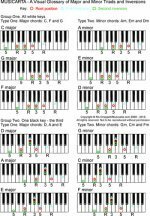 The bass notes are all roots (the notes named in the chord symbols) – the chord symbol would tell you (with e.g. a slash chord symbol) if it were another note. Here’s a very syncopated bass line. The bass guitar player in Latin music sometimes anticipates every beat like this. Transposing is, in a sense, THE musical skill. Being able to play a song or piece or chord sequence in another key 'just like that' testifies to real understanding of harmony, which in turn becomes a major creative asset. Plain repetition is a perfectly respectable way to acquire this skill, and the B strain of the 12-05-12 Canon Diary offers a good working vehicle for practicing it. The CD 12-05-12 B strain is in F. The III chord of F is A major, and that returns us (as V) to home key D. The I-ii-III (=V) device therefore lowers the home key by (modulates down by) a minor third (F to D). 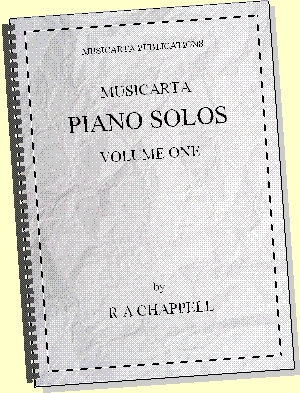 There are four minor thirds intervals to an octave, so if we play this modulating sequence in D, we will drop successive minor thirds through B, A flat and F majors before returning to D.
It is quite possible that there are parts of this Canon Diary web page where you will have felt ‘lost’. Players who have completed the Canon Project home study programme will be more able to follow. The modulating material is certainly a step further in complexity. 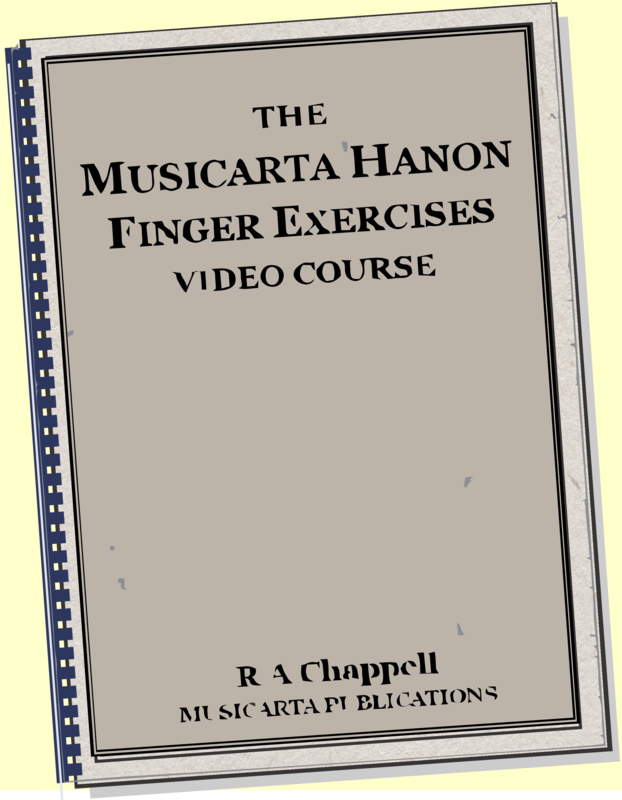 One of the aims of the Musicarta Canon Project is to help players become so familiar with a chord sequence that its internal dynamics (its harmony) becomes perfectly apparent. It is then only a short step to ‘tinkering’ with the harmony, and truly creative keyboard work. Musicarta has two other major home-study programmes. 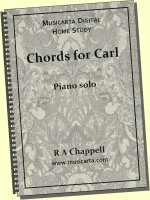 In addition, there are two teach-yourself home-study solos which will put a beautiful keyboard piece in your repertoire and teach you some 'really useful' music theory along the way. 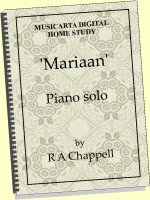 Musicarta also has a collection of modern-styles keyboard solos - written music plus audio samples, MIDI files and the MidiPiano app (Windows) to make sure you make it through to the full performance. Check them out on the Solos page.